Many customers are now using their mobile phones and tablets to browse the internet and view your website.With a mobile friendly design we alter your website layout and screen size to make it more user-friendly on smaller devices. 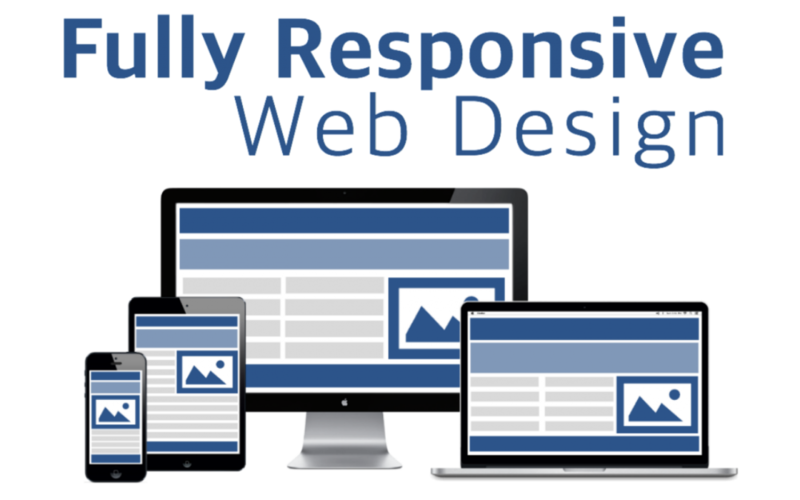 So, you’ve been looking at getting a website done but your tech savvy friend has stressed “It has to be responsive!” but what is a responsive website? In short, responsive means one website that will adapt to the screen size of the device it’s being viewed on. This ensures your websites content is always optimised for the end user making it simple to read and easy to navigate. We’ve all been there. You’re rushing out the door but need to double check the address of the company your meeting with, you go to their website and you have to locate the address, pinch to zoom in whilst squinting at your phone with the website moving left and right with the slightest touch. This isn’t a good experience for the end user, it’s ineffecient and clumsy. This is why responsive is so important, it removes the hassle and makes the process much more streamlined for any potential cusomters or clients. Consider this. In 2014 for the first time, figures showed mobile internet usage and browsing surpassed desktop browsing and this trend continues to steadily rise. Each day more people realise the benefits of browsing the web on the go using smart phones, this is something all modern businesses need to account for. In April 2015 Google rolled out it’s ‘Mobile Friendly Update’. This means websites that are not responsive are less likely to show up in Googles search results when someone is searching on a smartphone. This highlights the continued rise of mobile technology and a vital need to show your business can adapt to an ever evolving market. Luckily we’re all clued up on the importance of responsive web design Ottawa Check here to see how we can help you. Why you need a mobile responsive website? When your website is not mobile friendly, chances are you could be missing out a lot of business. It not only cause headache for your prospects to keep scrolling the web pages, but it can also affect your overall business potential and reputation. Here are some more reasons that will explain you why you need a mobile responsive website, if you haven’t already..! User Friendly: Let’s be honest, prospects and customers enjoy while browsing the mobile friendly websites. It provides a fascinating and rewarding experience to the people. The information available on the responsive websites tends to be more clear and easy to navigate that increase site ranking and traffic flow as well. SEO Optimizations: When your website is responsive and mobile friendly, it receives higher search page rankings on the search engines like Bing, Google and yahoo. Having a mobile friendly site will make it easier for search bots to recognize the traffic flow and new activity on the website. Simultaneously, if your site is misconfigured for smartphone users or you just simply don’t have a mobile-friendly option for consumers you may see a drop in your rankings. Social media increases mobile visitors: Believe it or not, over 70% of social media consumption now happens on smart devices. From link sharing to the social media marketing, your website will hit more traffic from the mobile devices. Increased conversion rate: A recent marketing study show that 67% of prospects and visitors prefer to buy from a mobile friendly website. In the same study it was also revealed that 48% of people reported annoyed and frustrated when they encounter a site which is not responsive or mobile friendly. So if you have a mobile friendly website, you are more likely to convert visitors into customers. So, do you want to upgrade your website into responsive? Mobolo website designers can help.! At Ottawa website companies, our professional team builds and manages innovative mobile experiences for emerging startups and leading brands. We cater to smart experiences that run on all major mobile platforms. A Responsive Website or Separate Mobile Website? The argument between whether to choose a Responsive Website or a separate mobile website is a highly debated topic that, for the majority, including Google , results in Responsive winning the battle. One key factor, your SEO (Search Engine Optimisation) is why Responsive Web Design is the best option for your mobile SEO strategy. We can create virtually any kind of site including dating / chatting sites, property searches, password protected content, content management systems as well as private intranet / extranet content. Managing one site and one SEO campaign is far easier than managing multiple sites and SEO campaigns.